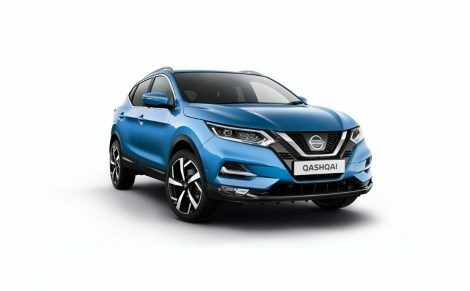 The New Nissan Qashqai combines stunning looks with efficient aerodynamics, allowing you to enjoy city driving at its best. Business users only. YOU WILL NOT OWN THE VEHICLE. Nissan Finance. Subject to status.18+. UK Residents (Excluding Channel Islands and Isle of Man) Contract hire monthly payment based on advance payment of £1,170 and 36 monthly rentals of £195 excluding VAT. 10,000 miles per annum. Excess Mileage charged at 8p per mile. Order [and register] by 30/06/2019. T&Cs apply. Further charges may apply subject to the mileage and condition of the vehicle at the end of the contract. Business users only. YOU WILL NOT OWN THE VEHICLE. Nissan Finance. Subject to status.18+. 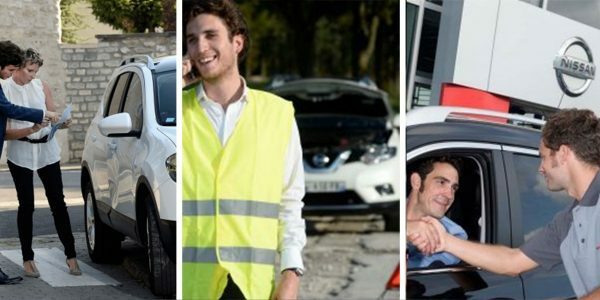 UK Residents (Excluding Channel Islands and Isle of Man) Contract hire monthly payment based on advance payment of £1,074 and 36 monthly rentals of £179 excluding VAT. 10,000 miles per annum. Excess Mileage charged at 8p per mile. Order [and register] by 30/06/2019. T&Cs apply. Further charges may apply subject to the mileage and condition of the vehicle at the end of the contract. Business users only. YOU WILL NOT OWN THE VEHICLE. Nissan Finance. Subject to status.18+. UK Residents (Excluding Channel Islands and Isle of Man) Contract hire monthly payment based on advance payment of £1,194 and 36 monthly rentals of £199 excluding VAT. 10,000 miles per annum. Excess Mileage charged at 8p per mile. Order [and register] by 30/06/2019. T&Cs apply. Further charges may apply subject to the mileage and condition of the vehicle at the end of the contract.